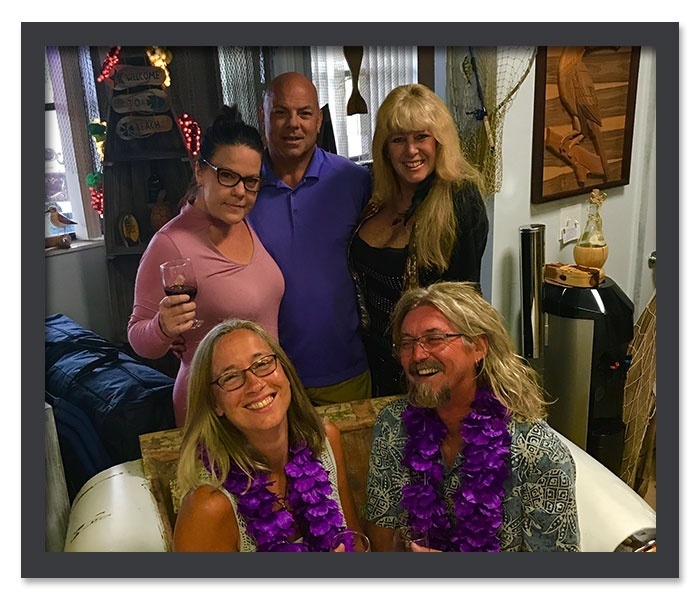 Off the Wall Art & Wine Gallery was created over many years of passion and love. A Gallery full of Art, Décor, Entertainment, Wine and Food pairing. All of this in one unique Off the Wall experience! 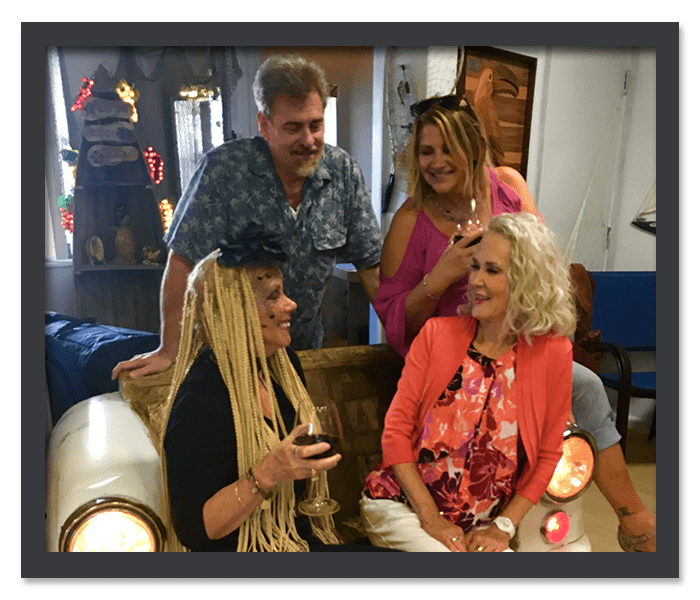 Appreciate beautiful Artwork while Wine Tasting at Off the Wall Art & Wine Gallery in New Smyrna Beach, FL. 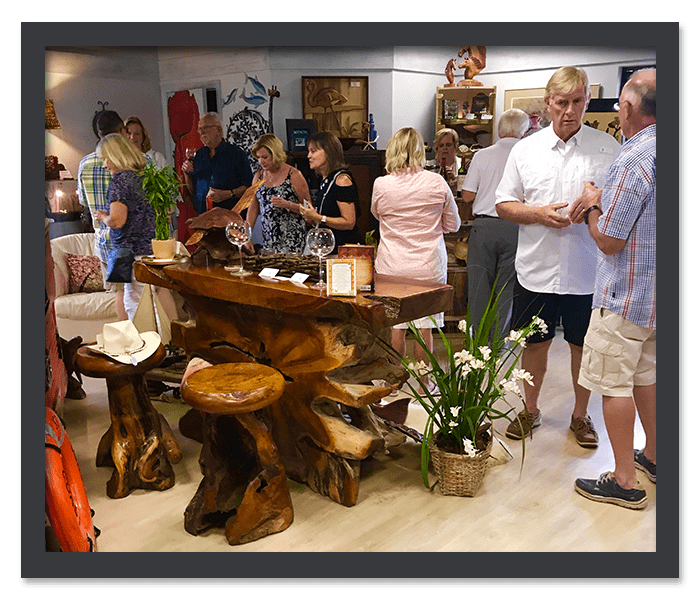 A newly established business, our Wine and Art Gallery boasts a homey setting where you can just come in, sit down, have a drink, watch live Entertainment, and relax while appreciating Art. Rest assured that each moment of your visit will be one for the books. Incorporate one-of-a-kind Artwork into your Home, Office, and Boat, and see how simple masterpieces can bring your space to life. Our Wine and Art Gallery offers a wide array of Art, Decor, Furniture, and Antiques, most created by talented artists. 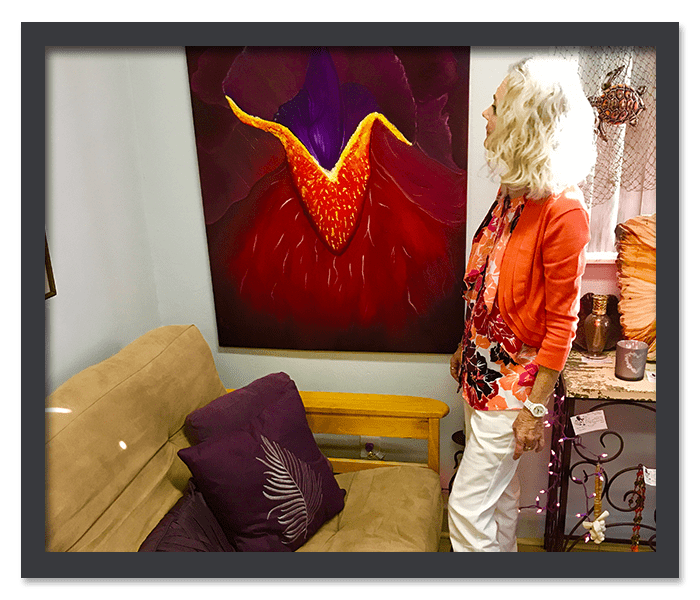 With our huge collection of Artwork, Decor, and Furnishings, we guarantee that you will find something that will catch your interest. We also add new and unique Art, Décor, Furniture, and Antiques daily for your shopping pleasure. Interior decorator always able to help you with your decision making. 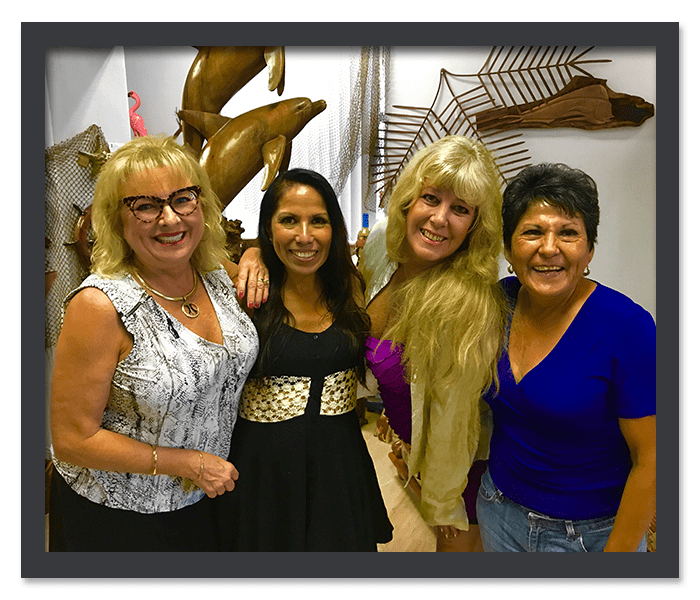 Head to Off the Wall Art & Wine Gallery if you are looking for the perfect place to enjoy Wine Tasting and admire unique works of Art. We also offer coffee, teas, water, beer, snacks; Wine and Food pairings held monthly and during events. We are now selling Senorio De Ibros 100% extra virgin olive oil cold pressed, product of Spain. Drop by our Gallery today! Give us a call using the phone number provided on this website for more information about our Wine and Art Gallery. We can extend our closing hours for private events. Call us for reservation!